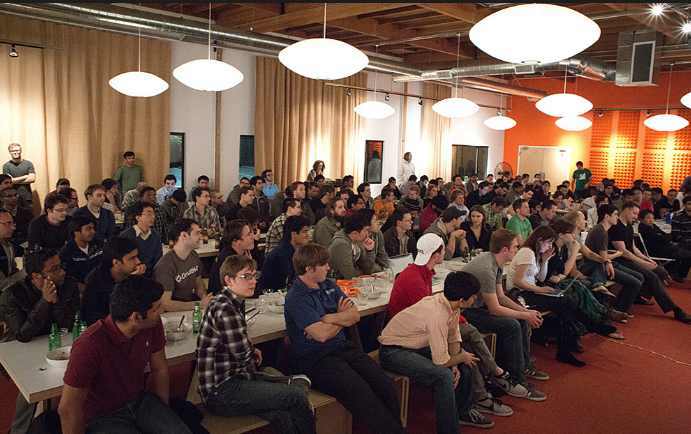 Y Combinator is an American seed accelerator, started in March 2005. Fast Company has called YC “the world’s most powerful start-up incubator”. Fortune has called Y Combinator “a spawning ground for emerging tech giants. Y Combinator created a new model for funding early stage startups. Twice a year we invest in a large number of startups. This March Winter 2017 Demo Day, the following Nigerian companies are pitching this week. WIFI.com.ng has just been profiled by Y Combinator. Kudi.ai is a financial service provider focused on providing access to electronic banking and financial services by leveraging conversational interfaces, natural language processing and artificial intelligence to provider faster access, frictionless experience, and ultimately eliminate the need to download different financial or banking applications. Provides instant credit solutions that eliminates the hassle of standard loan applications and enables employee to borrow at competitive and fair rates through their employers. Individuals can download the application through Android devices. Benefits of the platform are offered to employees, companies, and investors. Provides broadband internet using wi-fi to residential and small businesses. TIZETI (wifi.com.ng) has been deploying high speed internet access to estates, offices, multi-tenant building using next generation wi-Fi technology. They deploy internet to residential and business customers which allow customers get the full benefit of the internet with no data or time caps. They also offer VOIP and Video on Demand services. Provides a platforms where doctors are able to give the best medical advice for symptoms, disease diagnosis, and treatment when you describe your health condition in a detailed manner.